The completely rebuilt WarCry.com lets you check out all the MMOs out there. In the beginning, Lord British created Ultima Online and it was good. EverQuest followed and Dark Age of Camelot, City of Heroes and EVE Online were born. Then came World of Warcraft, and suddenly every publisher great and small tried to copy its gameplay and its huge subscriber base. That didn't work out exactly, but MMOs didn't go away, they just changed. Free to play models began, and player behavior shifted. With Neverwinter, Elder Scrolls Online and whatever Blizzard is cooking up with Titan, we are entering the next Golden Age of MMOs. WarCry has adapted to give you perspective on this new MMO landscape. Back in the early 2000s, WarCry was a leading voice in the discussion of the emergent genre. Now the website has been completely rebuilt with a focus on finding the right MMO for you. Everyone has different gaming preferences, and you can dial in on game that tickles all your MMO tastebuds. Would you like a modern fantasy game without all those orcs and trolls, or a game with steampunk elements, or a game you can play in your browser while you're at Grandma's house? You can find it at WarCry.com. There are more than 300 MMOs listed in the WarCry Codex, with more being added every day. All the relevant details about what makes an MMO unique can be found on WarCry, and you can check out screenshots and trailers to see if you like a game's visual style. WarCry will feature news and reviews of current MMOs, and we'll be heading out to press events and conventions to preview upcoming MMOs you're pumped about like Marvel Heroes as well as some you may not have heard about yet. I'm looking at you, Wildstar. It's tough to play MMOs with expensive subscription fees and that's why WarCry can help you find a game to play without maxing out your credit card. We've lined up tons of great giveaways for beta keys as well as free in-game items and currency which you can find here. You can even head to the Free Games page to play all the games in WarCry Codex with free trials or free to play clients. It's totally possible to play MMOs on a budget and you can find out how on WarCry. I'm excited to bring you the new WarCry, and expand the audience for the kind of immersive worlds I love to play. We'll be rolling out previews and fresh MMO content daily, and there will always be new giveaways and offers from partners like Red 5 Studios, Perfect World and Blizzard coming to you on WarCry.com. 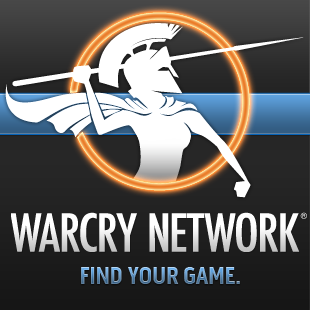 Come check out WarCry to find your game.